Multiple users share the same computer. 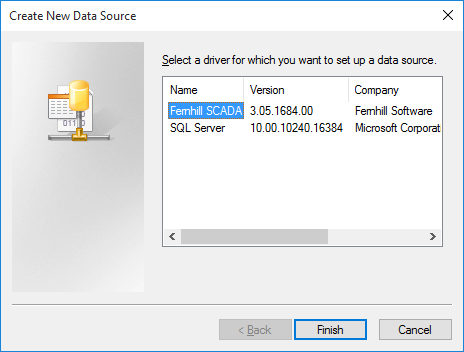 The application accessing Fernhill SCADA runs under a different user account to the logged on user. Setting up an ODBC system DSN requires administrator privileges. 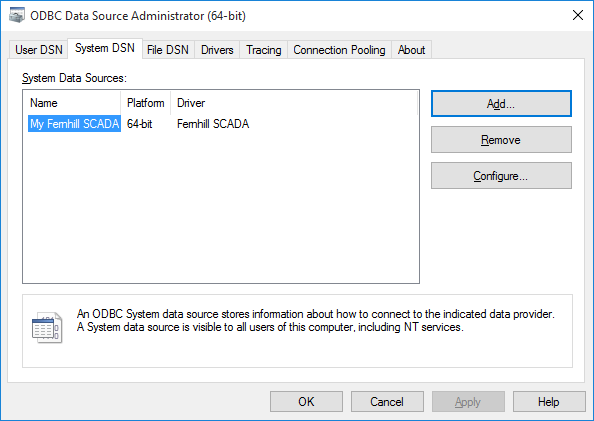 On 64-bit versions of Windows you may need to setup the ODBC System DSN separately for both 32-bit and 64-bit applications. Note: On 64-bit versions of windows this procedure will setup a 64-bit ODBC DSN. 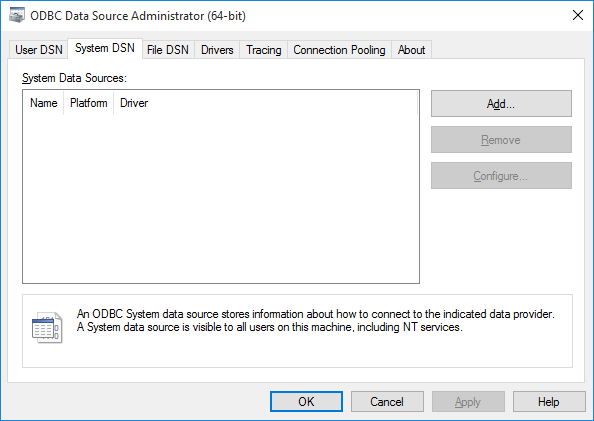 If you want to create a 32-bit ODBC DSN on 64-bit Windows see Setting up a 32-bit ODBC System DSN on a 64-bit Computer. 2. From the Control Panel, open Administrative Tools. 4. Select the System DSN tab. Note: The list of drivers on your computer may be different to the list shown above. 9. Click OK to close the ODBC Data Source Administrator. 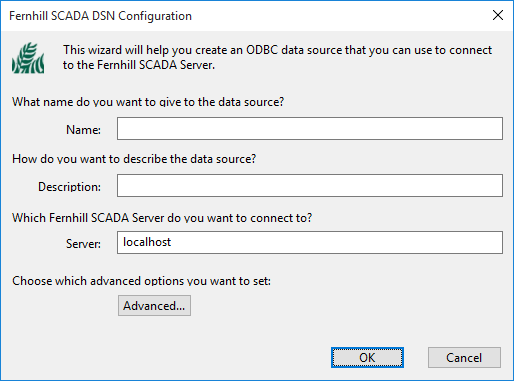 If you are having problems connecting to a Fernhill SCADA Server. 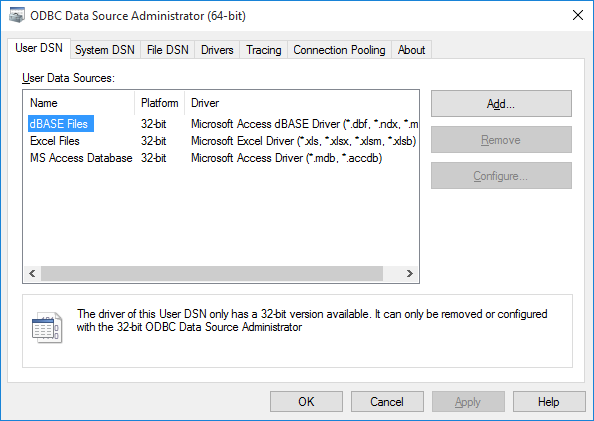 For instructions on setting up an ODBC User DSN.